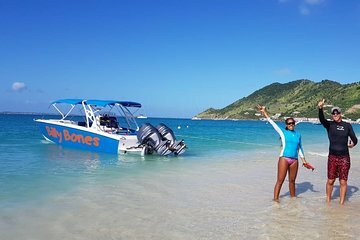 Explore off the coast of St. Maarten without the stress of planning or navigating on a private tour to the area’s highlights, from Pinel Island to Anguilla. A private boat charter ensures a personal experience and the full attention of your guide, who customizes the day’s itinerary according to your interests. In addition to round-trip hotel and port transfer, the day includes snacks, water, and an open bar.